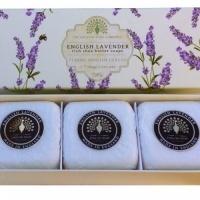 The English Soap Company products are made from pure vegetable oil, vegetable derived glycerine and shea butter from the African Karite tree. To ensure that the texture is smooth and silky, the triple blending and refining process is used. 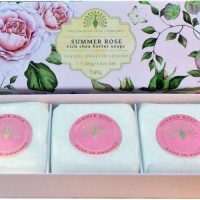 All perfumes, used to scent products, are specifically designed for The English Soap Company by perfume experts and made in England. 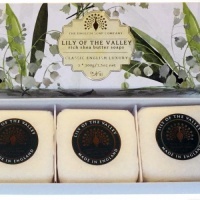 The English Soap Company soaps are smooth, silky and fragranced with a luxurious perfume that lasts to the end of the bar. 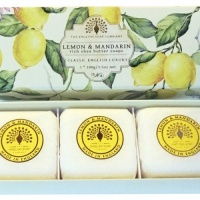 The English Soap Company candles are made from soya beans, are eco-friendly and bio-degradable. All soya candles are handmade, natural, balanced scented and have a burn time of up to 35 hours. 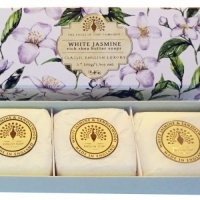 Products are presented in a nice, colourful packaging and are a perfect gift for any occasion.